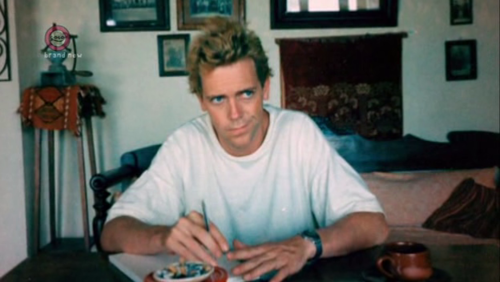 Young Hugh Laurie. . Wallpaper and background images in the Hugh Laurie club tagged: hugh laurie young. Omg. It looks like he dyed his hair. Lol cute.